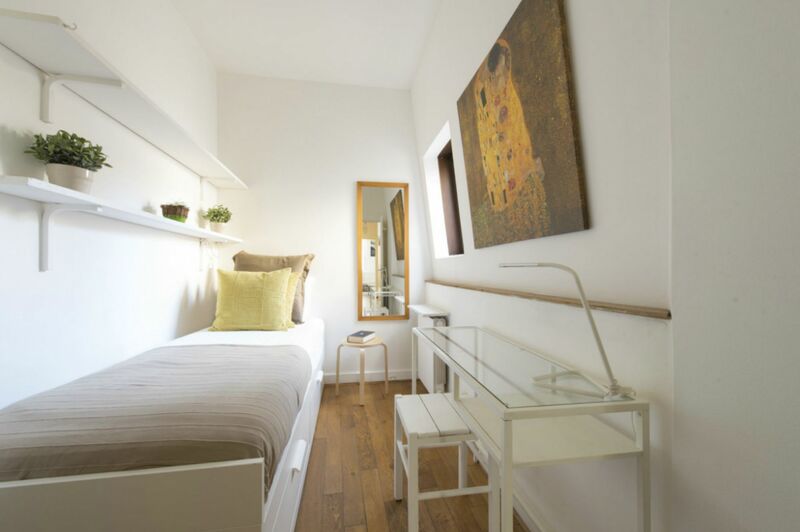 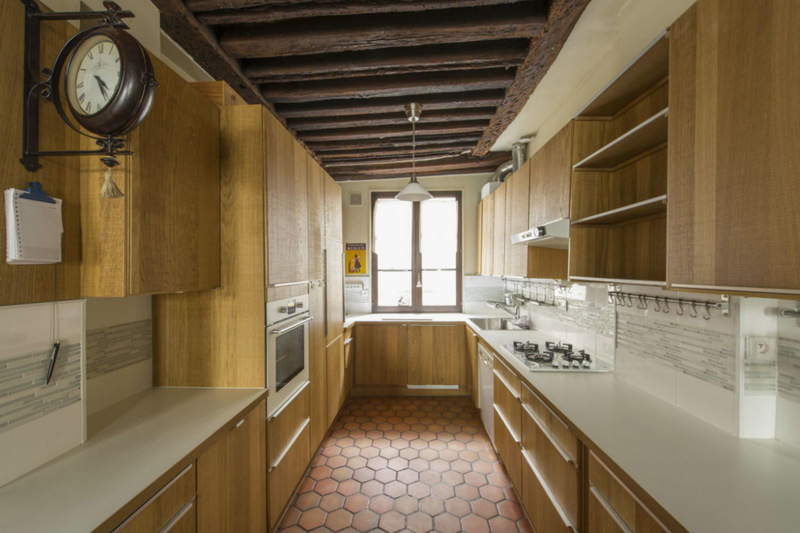 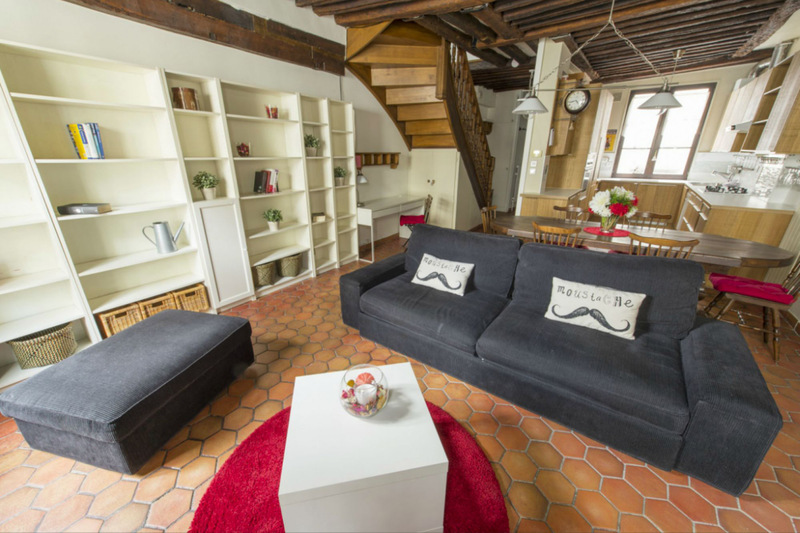 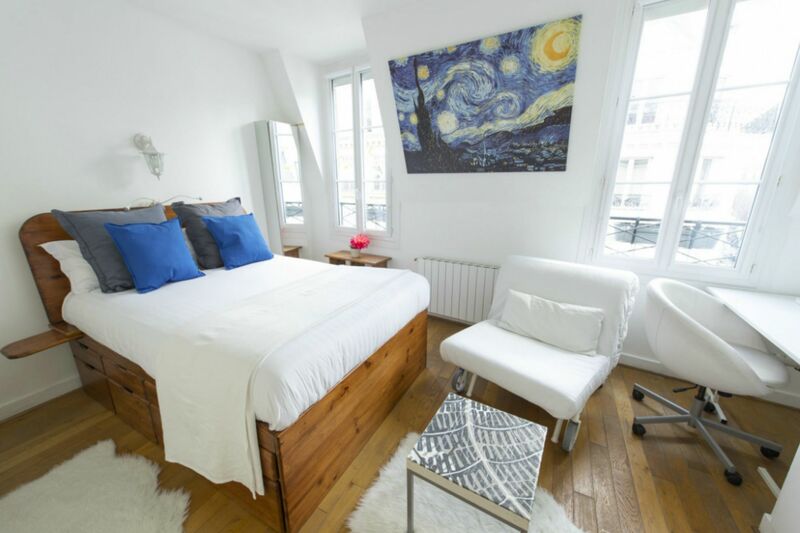 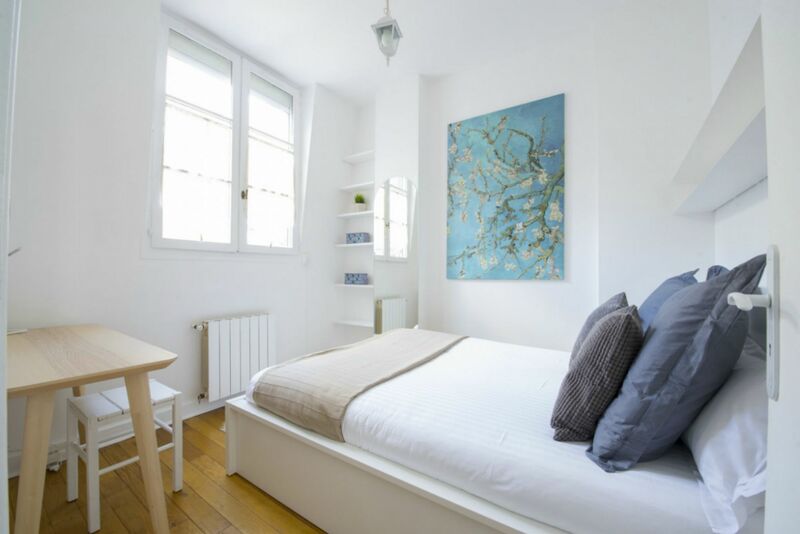 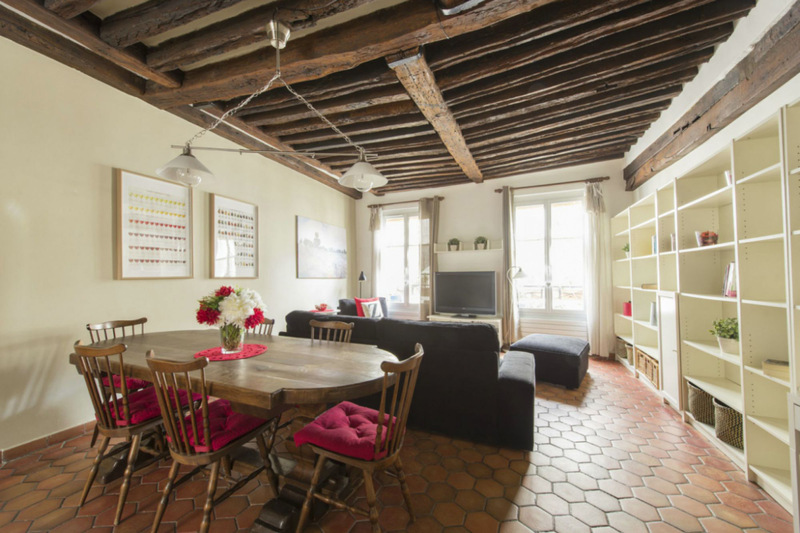 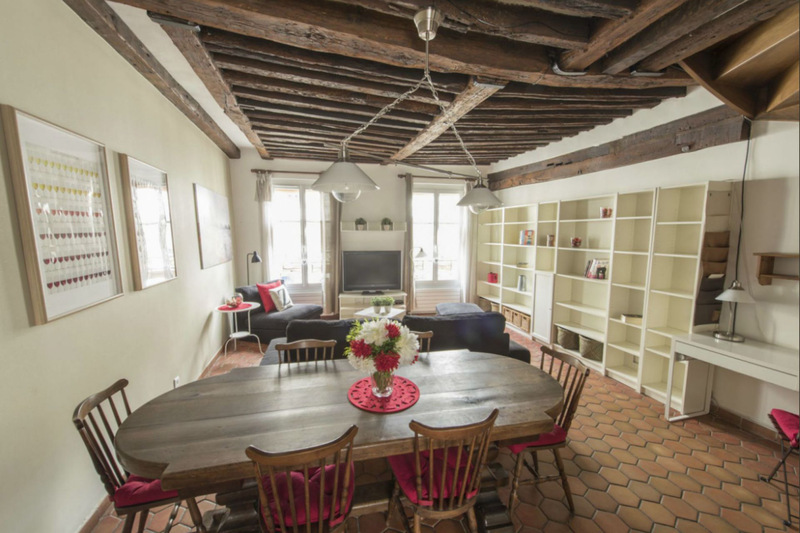 This rue du Temple apartment in the Marais is just steps from Square du Temple and rue de Bretagne. 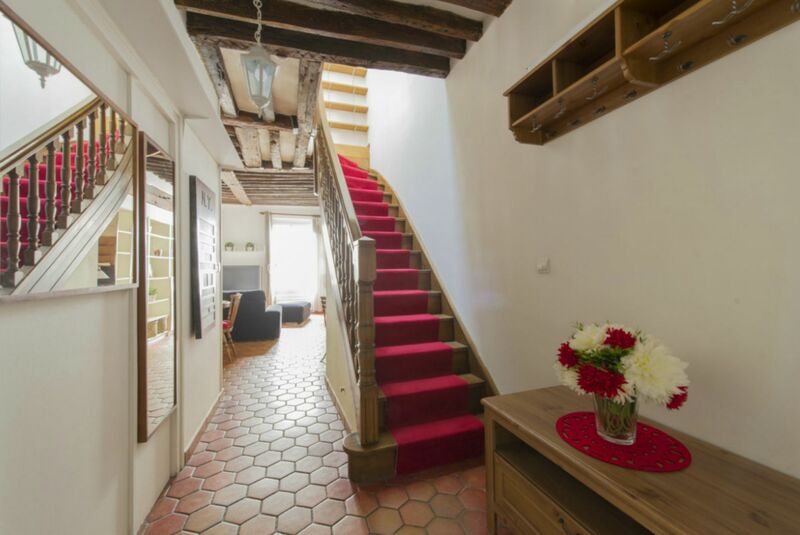 The charming duplex of 86 m2 (82.6 m2 loi carrez) offers 3 bedrooms and bath on the upper floor. 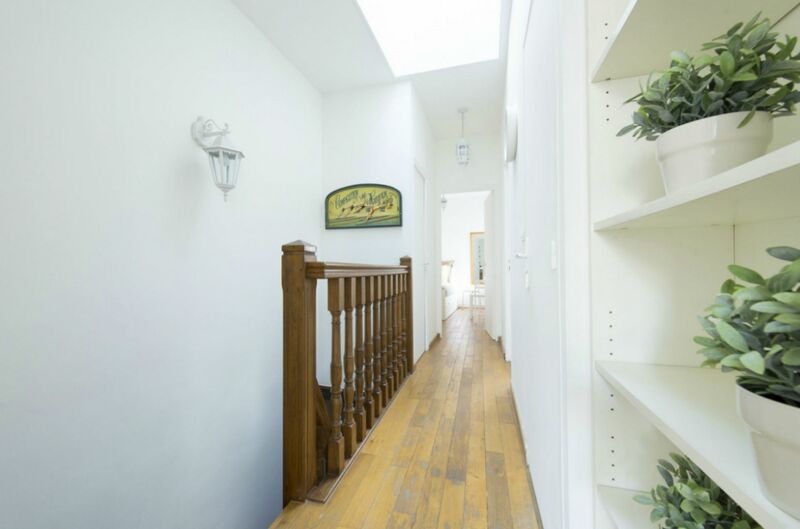 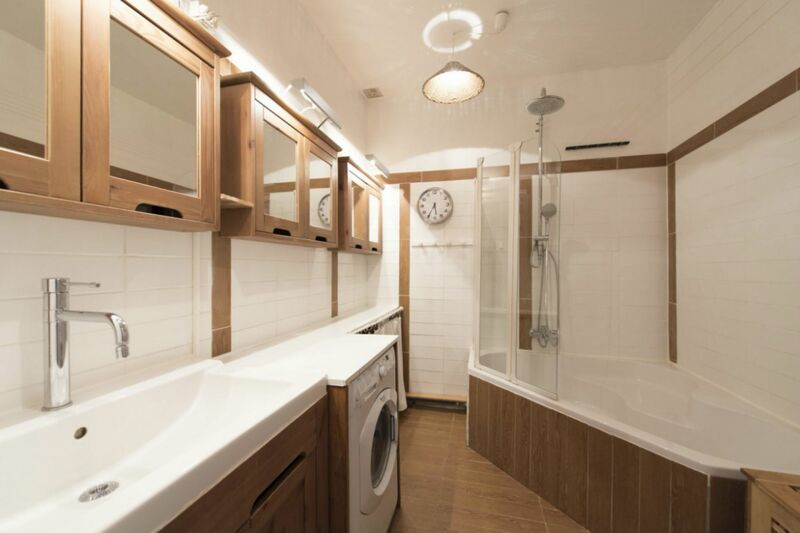 The main level comprises an entry, open kitchen, dining room and living room, with guest WC.